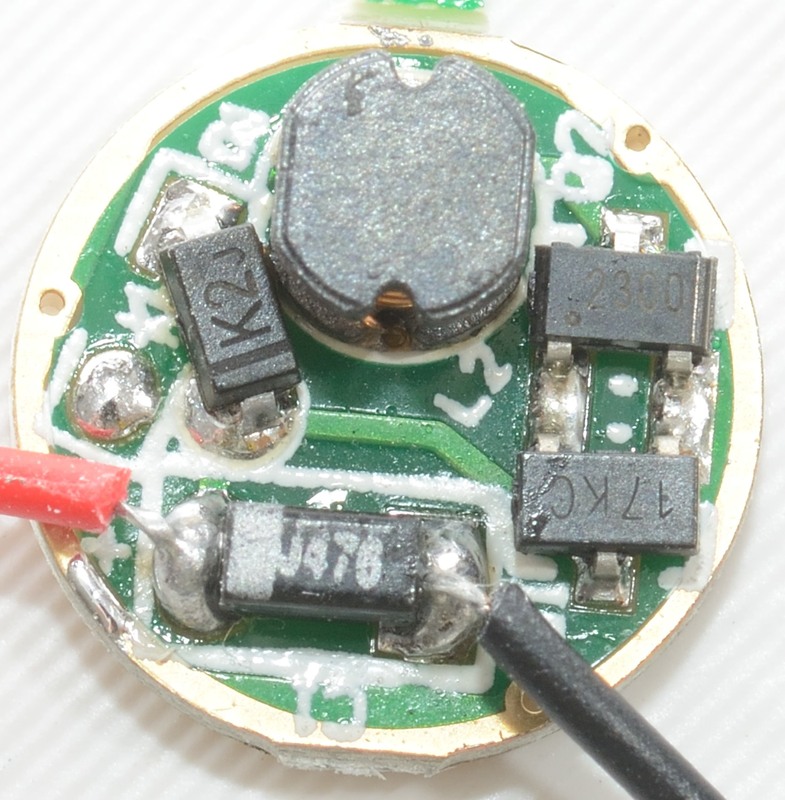 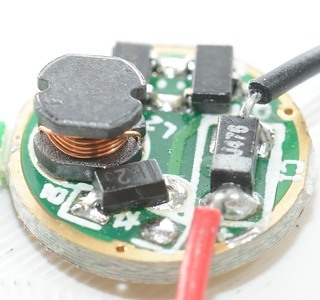 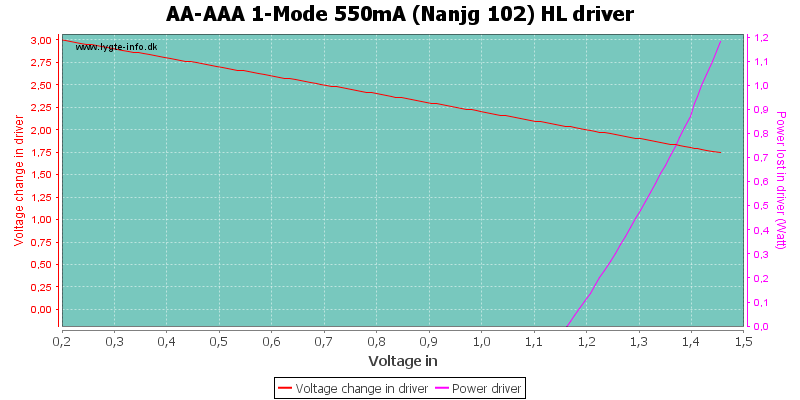 This driver is always pulsing the led, spoiling any power and efficiency calculations. 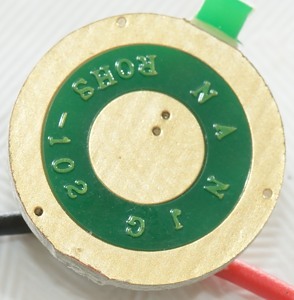 The driver does not have stabilized brightness, but increases brightness with voltage. 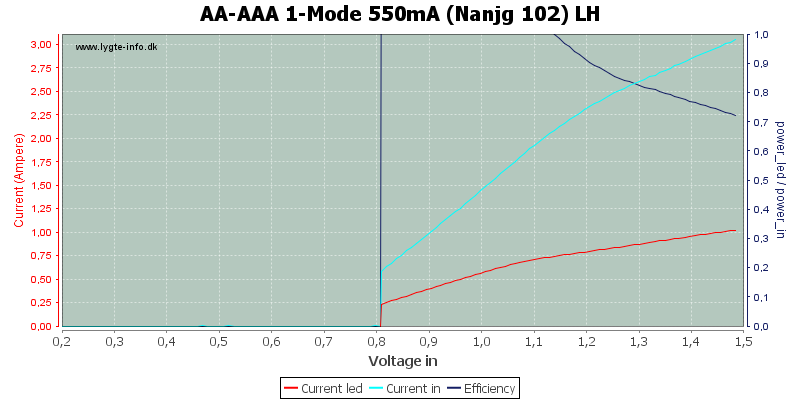 It uses a lot of current if the battery can deliver. 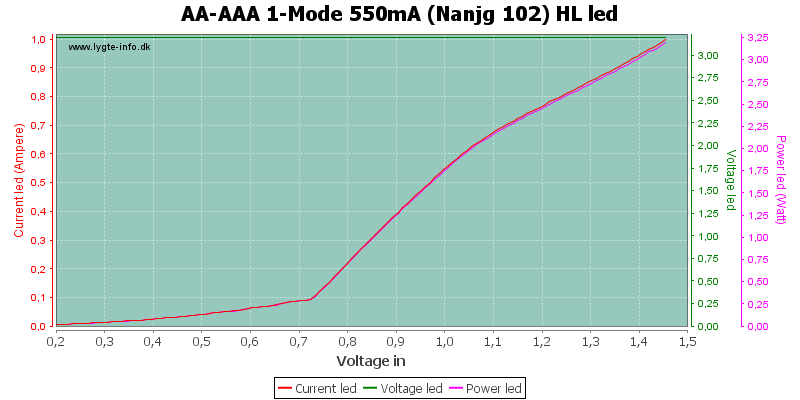 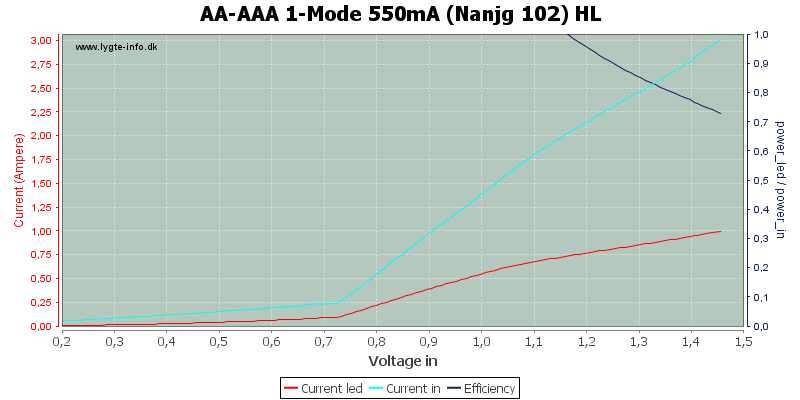 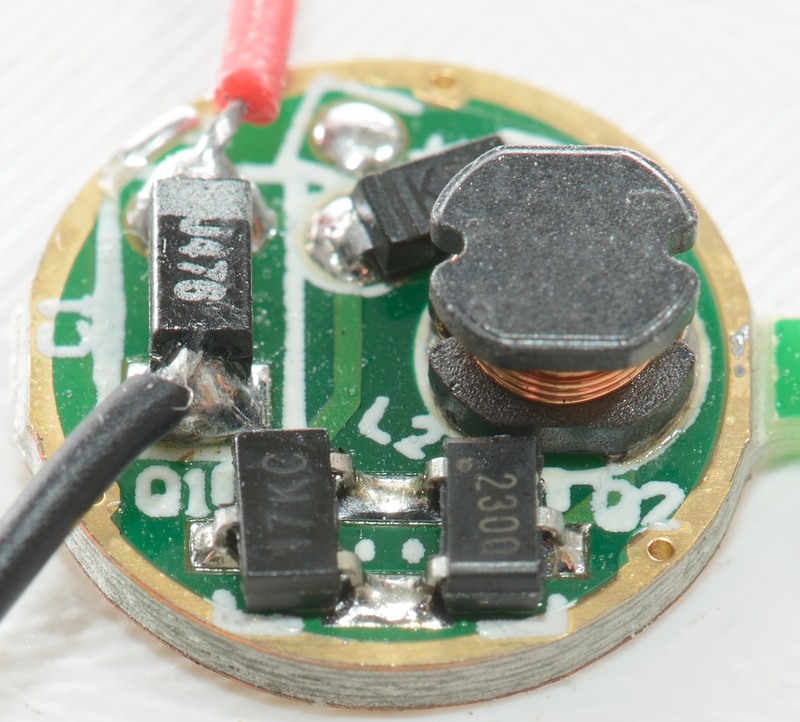 Increasing the voltage from zero, shows that the driver turns on at 0.8 volt. Here the pulsing can be seen, it is very fast (way above being visible) and I expect the frequency to vary with battery voltage. This driver does what it is supposed to do, but be very careful with lithium batteries, they may overload the driver.